Christmas is coming up fast & with that we are all scattering to find the best gift for every little one on our wish list. I’m sharing some of our tried & trued favorites conveniently we picked all up from Kohl’s, that are sure to be a hit in your household too. I’ve got to mention this tip for all my mama’s out there, you can shop online & pickup in-store. This is my favorite way to shop, especially with limited time during this busy holiday season. 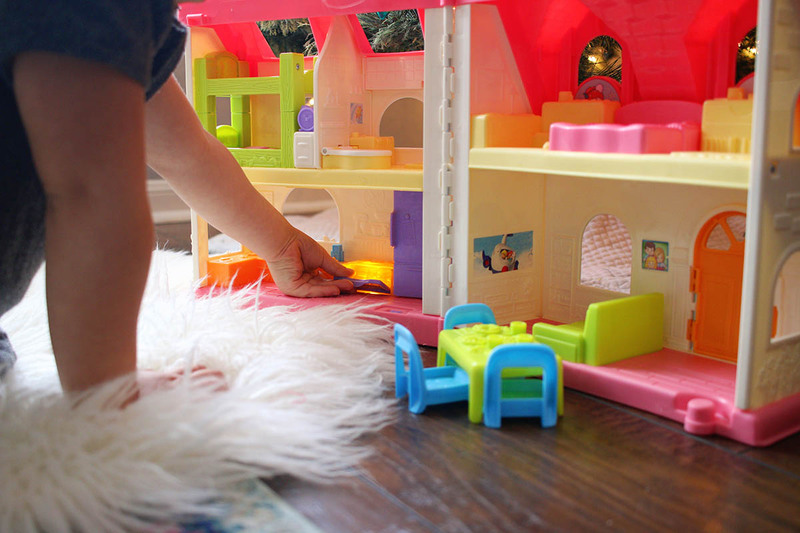 My kids are 5 years a part but toys that encourage imaginative play keep them connected in hours of play together & bridge that gap that so many moms worry about when having kids with a good age gap. So I’ll be sharing some of our favorites along with new additions that will make there way under the Christmas tree from Kohl’s this year. Our house is filled to the brim on every parents worst nightmare in the dark, LEGO’s! 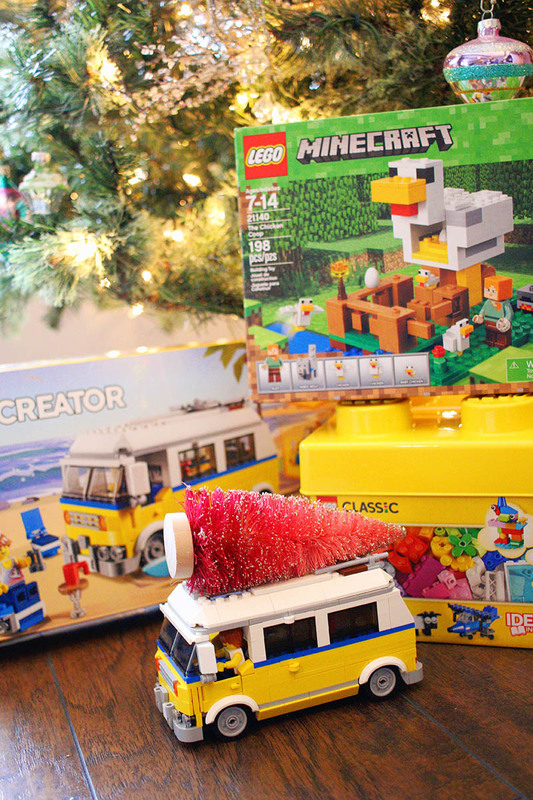 LEGO’s are one of our top toys to give & receive. 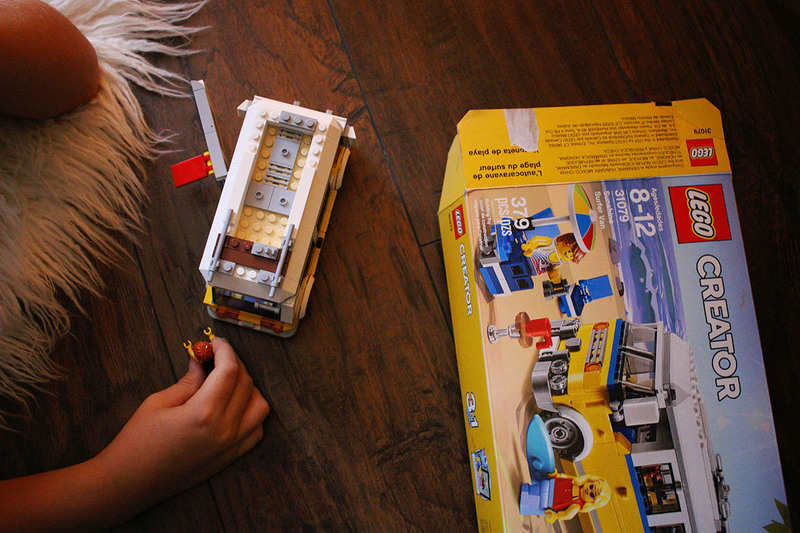 We’ve built everything imaginable and the kids spend hours upon hours hypnotized by the clicking of blocks and their imagination. 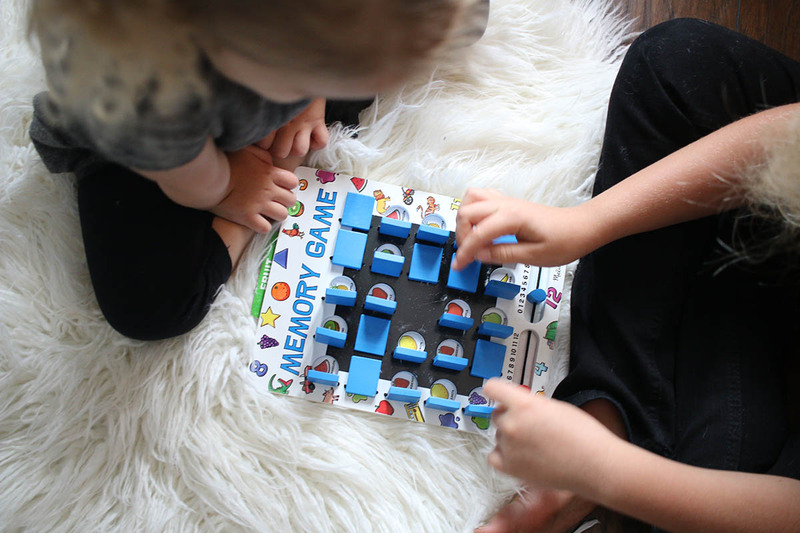 Melissa & Doug toys have also been a staple in our rotation of toys with their assortment of toys to encouragement development and imaginative play. 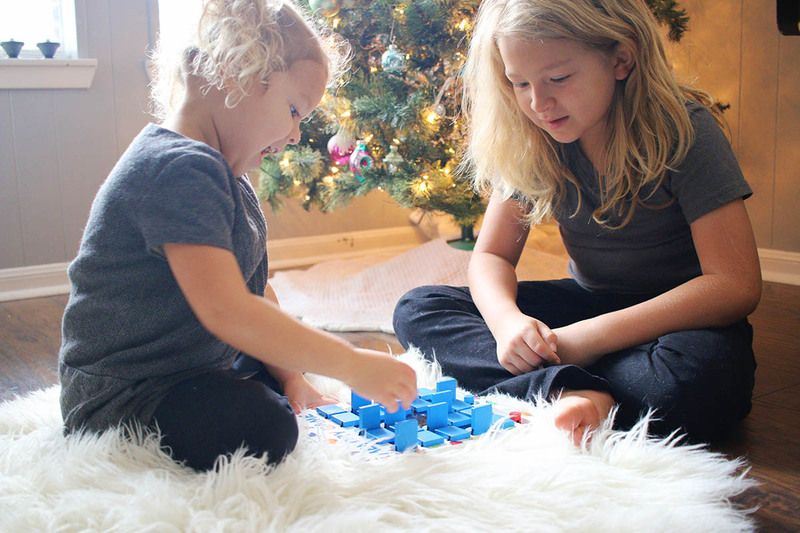 This matching game is one of the top gifts we love to give, it’s the fun of matching without tons of cards to keep up with like more traditional matching games. And I’m sure EVERY kid has had some sort of Fisher-Price toy growing up, I fondly remember my Little People of the 80’s & love that both my kids have spent hours playing with their Little People sets. 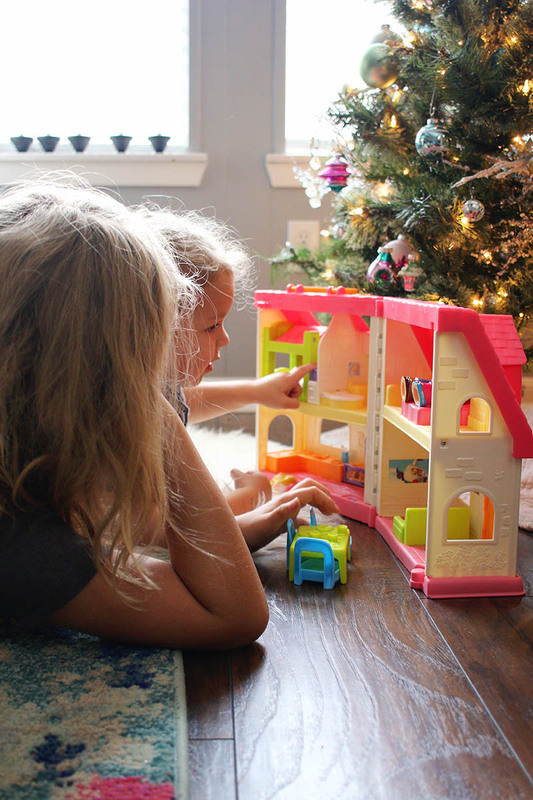 Emily has wanted a house for her Little People for the longest & when I spotted this cute house on Kohl’s website for Little People…I just had to grab it for her. And she’s played with it everyday since I got it for her, made up stories for the family, had her brother join in on the fun and used her imagination to include other larger toys to invade the house. Fisher-Price toys hit on so many age brackets, you’re sure to find a perfect toy for the little one in your life. A few other of our favorite toy brands are Disney Princess and Hot Wheels which also have some EXCLUSIVE toys that are only at Kohl’s! 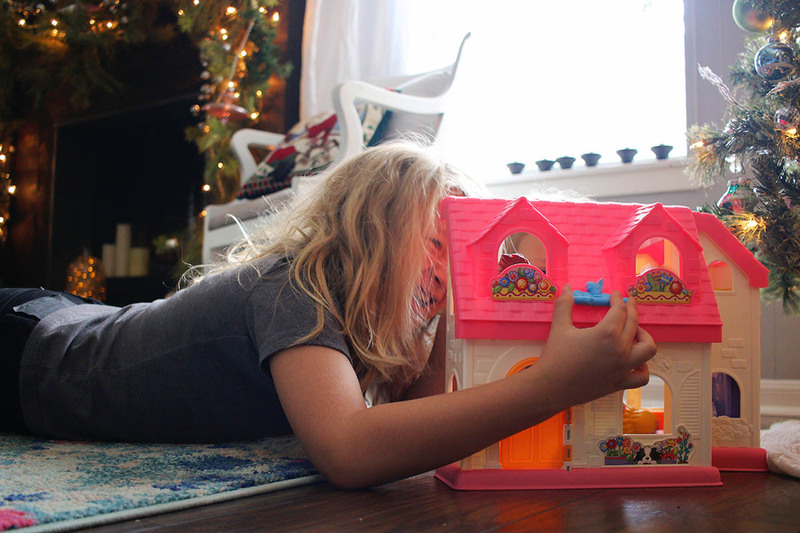 What are some of your family’s favorite toy brands to buy during the holidays? I have bought Melissa & Doug toys for my girls for years and we love them. My favorite thing about them is that they are so durable. Look like great quality toys! 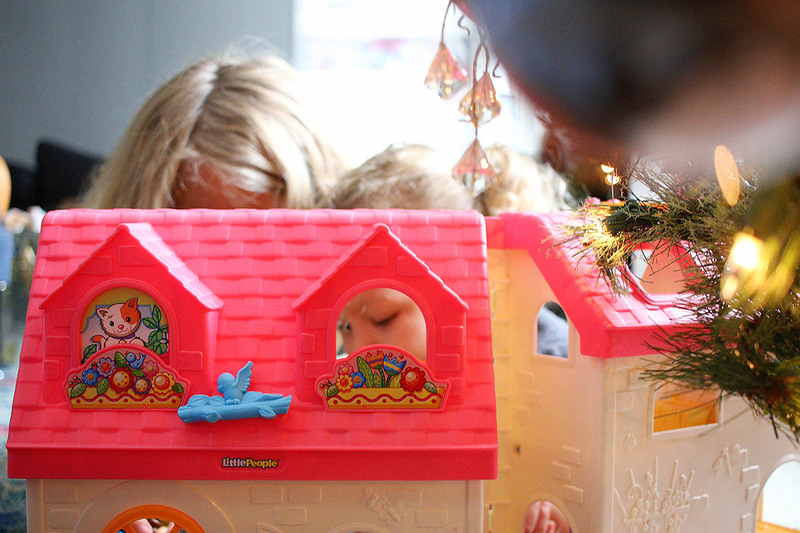 Dollhouses make for a new world of imagination and discovery. I had a great one when I was young. Fun! I love Melissa & Doug toys. The kids always have fun with them and they’re always nice for a gift. Thanks so much for this giveaway. My kids would be thrilled! fisher price, but I am going to try Melissa and Doug instead this year. my son is getting minecraft legos! We love Melissa & Doug toys and my boys also love their Legos. My family loves Melissa and Doug! The toys are well made and they make for great fun and creative play. Both of my kids love the wooden blocks and my older daughter loves the reusable sticker books- we bring them on trips so she has something to keep her occupied. We don’t own Legos yet but we do plan on getting some sets in the future. Thanks for the great toy guide! I think Legos are great toys for kids. No screens to stare at, just good old fashioned imagination! I love Melissa and Doug toys especially their puzzles. They are such great quality and my boys love them. 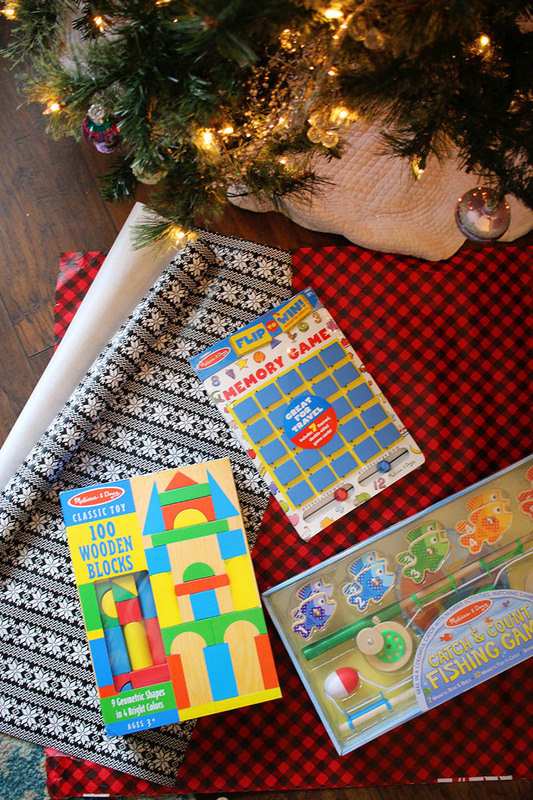 Melissa and Doug toys are favorites as they encourage creative playtime. I am not ususally a big shopper at Kohl’s,but I just recently had one build buy my house and I need a few ideas for my grand kids for X-Mas!! 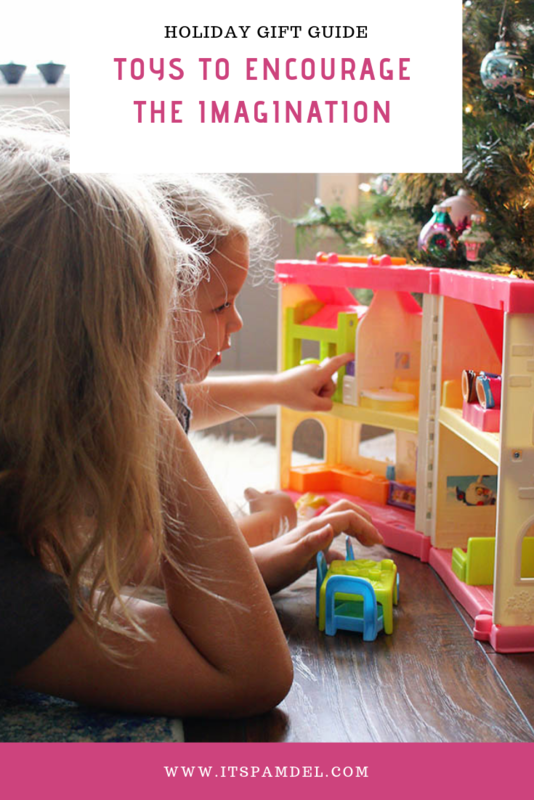 My nieces and nephews have always loved their Melissa & Doug toys! I love toys that can help my grandkids be more imaginative. Melissa and Doug toys are awesome! These all look so amazing and this would give the kids hours of fun. My daughter likes Legos. The Lego van looks like fun. We are true fans of these toys. Our kids love to use their imaginations and love to be challenged. The first time we “destroyed” our LEGO creations, the world was coming to an end but now they play with their creations and are happy to destroy them when picking up knowing that the next time another great invention will be waiting. They also enjoy games that require some thinking – So many great toys these days! I love the quality of Melissa & Doug toys. Kohls has some great toys for kids. Our favorite is Legos! My kids make up creative story lines when they play with dollhouses. How generous! And the toys look so fun to play with! I love all of these not electronic ways to play! imagination is wonderful! These toys are Great! My granddaughters would love these. I always thought these were the best toys when I got them. You have to learn how to play and have fun. We love the toy selection at Kohl’s! We particularly like the LEGOs and Melissa and Doug crafts. Melissa & Doug are top notch toys for design and durability. I’ve been buying them for years, especially toddler age toys. Legos and Melissa and Doug are quality toys. We like Mega Blox and Step2 products. I love toys that encourage imagination. Melissa and Doug and LEGO are some of my favorites. Legos are a biggie at our house. 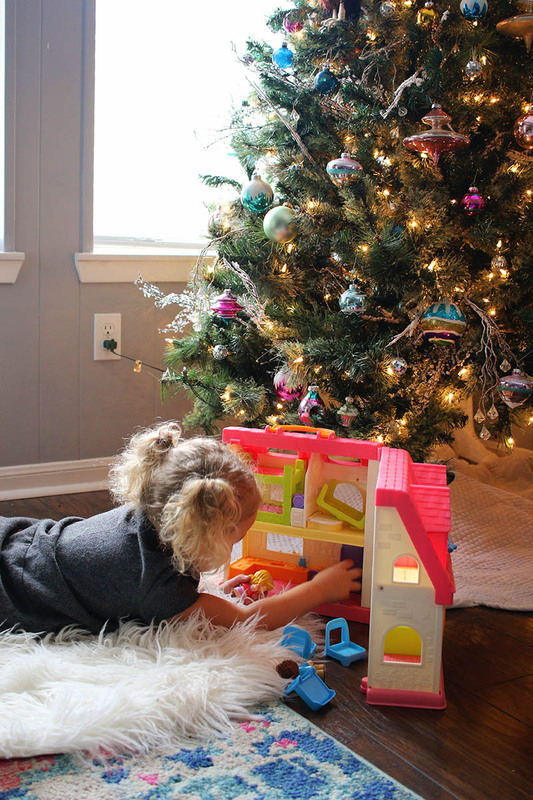 Melissa & Doug toys are my go to gifts for first time parents. You can’t go wrong with them. Melissa and Doug toys are always on the top of my list for toys to buy! That little people house is sooo cute !!! I love Kohl’s!! I think my son would definitely love these toys. I love toys that don’t take batteries or make music. My son is in love with everything Minecraft! 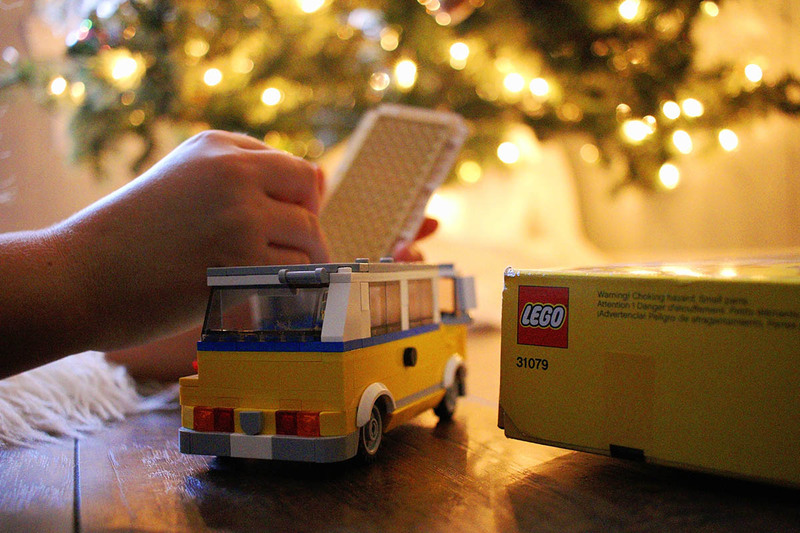 Hot wheels and legos are great gifts! I love shopping at Kohls for gifts and getting kohls cash. Activity and puzzle toys are our favorites. Melissa & Doug never disappoint. My kids would LOVE all of those toys, especially the Legos!